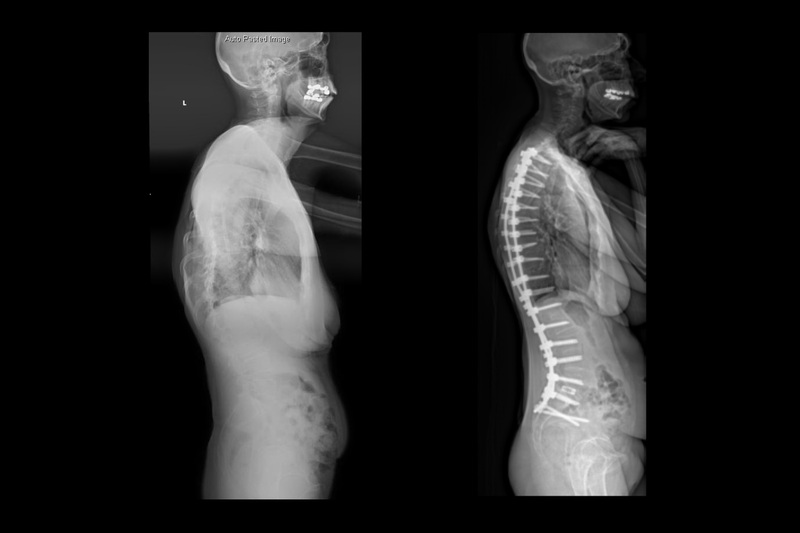 This is a 66-year-old female who presented with severe adult thoracic Idiopathic scoliosis. 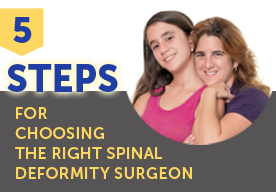 Patient complained of 100% back pain which was worse with sitting less than 30 minutes. She has tried several therapeutic measures, such as physical therapy, exercise, and anti-inflammatories. 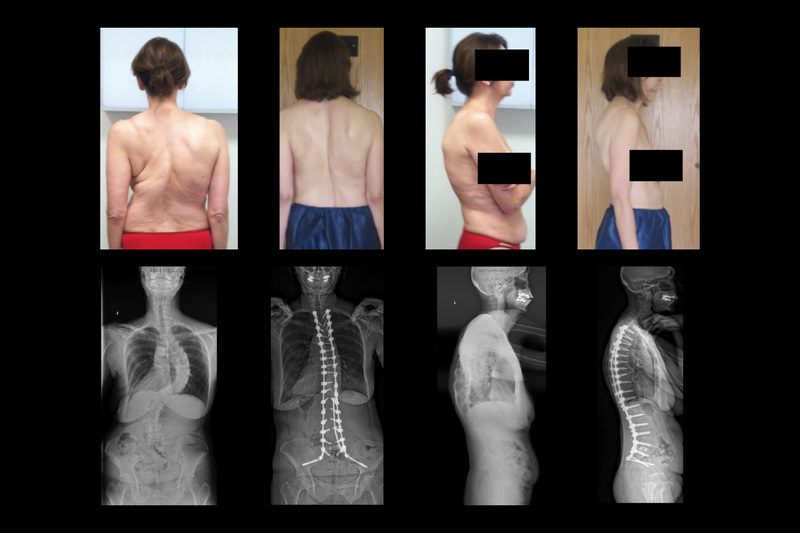 X-rays of her spine showed a 90-degree right thoracic idiopathic scoliosis, proximal thoracic curve of 30 degrees, and lumbar curve of 63 degrees. 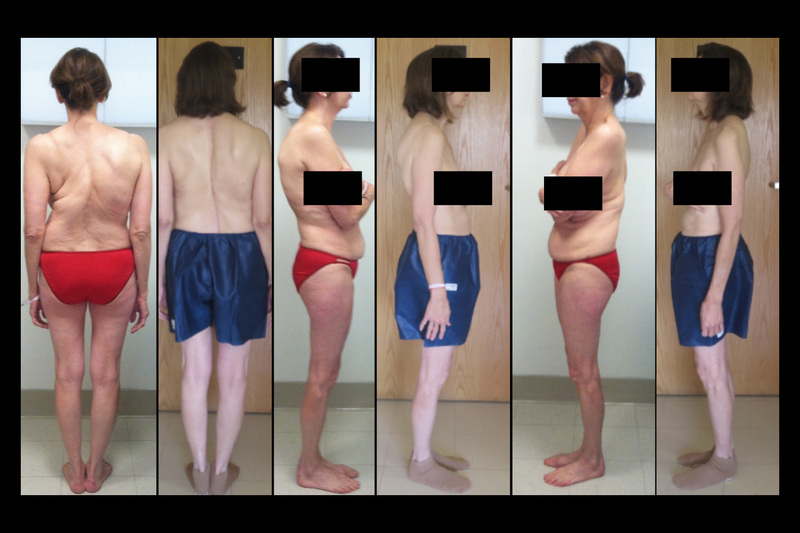 She was off 2.5 cm to the right in her coronal balance. 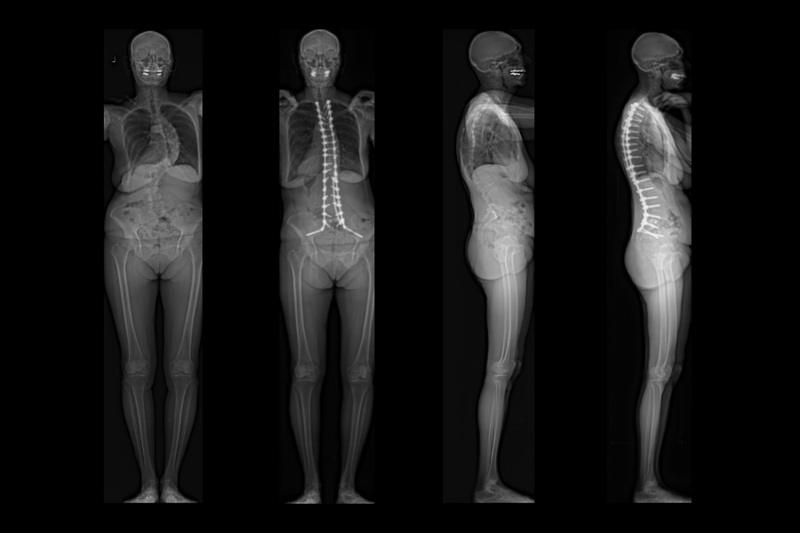 The sagittal plane showed 45 degrees of thoracic kyphosis and 46 degrees of lumbar lordosis, with overall good sagittal balance. 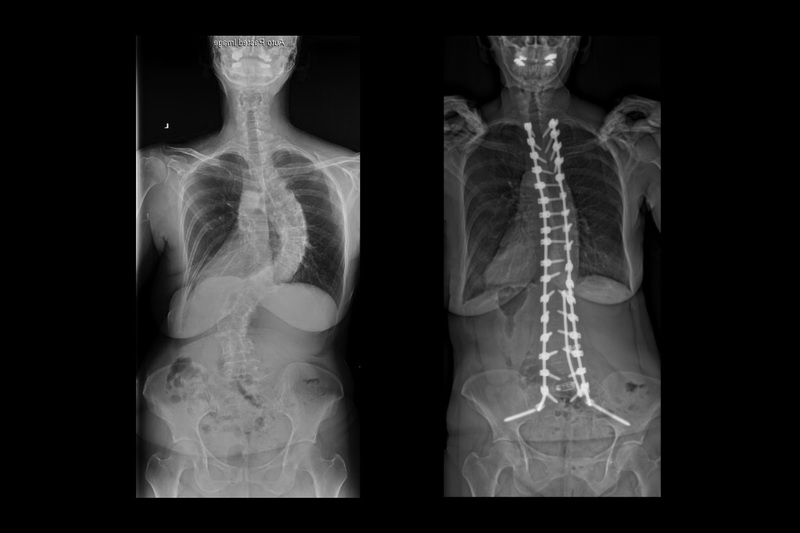 She had primary posterior instrumentation and fusion surgery from T2-Sacrum/ilium with over 80% correction of her scoliosis deformity and is doing well.